Soros Hack Exposes Plot Behind Refugee Crisis, His Media Control, Cash for "Social Justice"
Leaked files from billionaire globalist George Soros’ Open Society Foundation two days ago have exposed several startling machinations about the organization — including flagrant schemes to manipulate the media, influence international immigration policy, and cash designated for social justice initiatives. 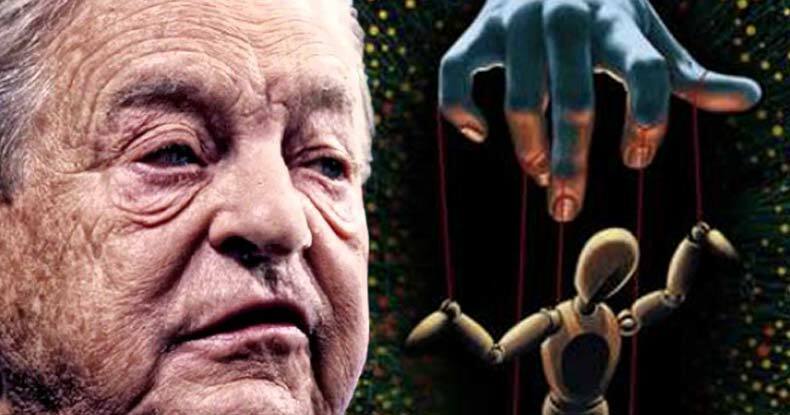 Soros has been outed previously for pulling political strings in Ukraine, but as one memo revealed in the massive DCLeaks cache shows, the globalist also sought direct manipulation of Western media to align with that political agenda. Judging by the degree of influence Soros sought, those relationships wouldn’t amount to just a drink after a hard day’s work. In fact, under the “Cons” portion, the authors lament specifically the potential for the trip to “enforce the narrative of GS/OSF manipulation” — because that’s exactly what it would be? On May 12, OSF program officer Anna Crowley and program specialist Katin Rosin co-wrote a memo titled “Migration Governance and Enforcement Portfolio Review,” focusing on the OSF’s International Migration Initiative created to influence world immigration policy, as the Daily Caller first reported. Zero Hedge reported on a third aspect of the leak in a memo concerning the United States, indicating potential funding of the Black Lives Matter movement by Soros — though the connection appears hazy at best. Obviously, given the enormous size of the document cache published by DCLeaks, an untold number of other Soros manipulations will likely be revealed in the weeks to come.